Setting style trends is nothing new for Set Decorator Ron Olsen, SDSA. He and Production Designer Roy Christopher were perennial Emmy nominees for creating the Seattle/Pacific West big-city look of FRASIER. The design team was awarded the coveted statue in 2004. For the 2005–2006 season Christopher again designed unique sets for Olsen to fill, this time with an upscale contemporary “Chicago” statement for the ABC series FREDDIE. Olsen, in turn, designed some of the furnishings, purchased and rented others. 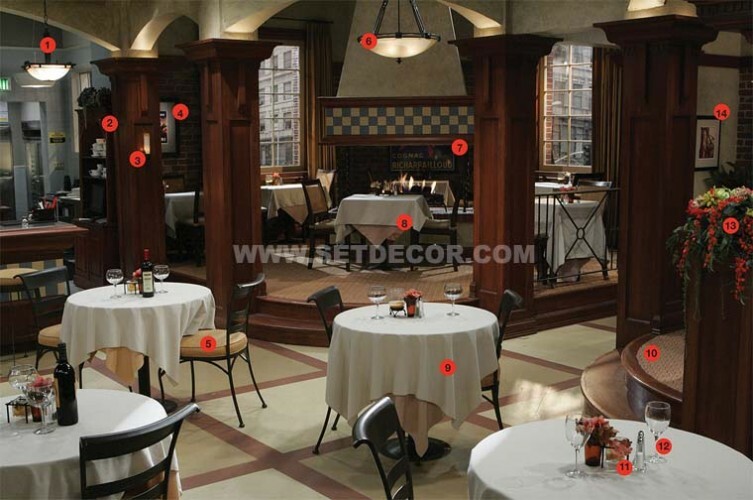 He shares with SET DECOR readers his sources for many of the sets’ elements. Click on photos to the left and match the numbers listed here for your own “Hot off the Set” look! .